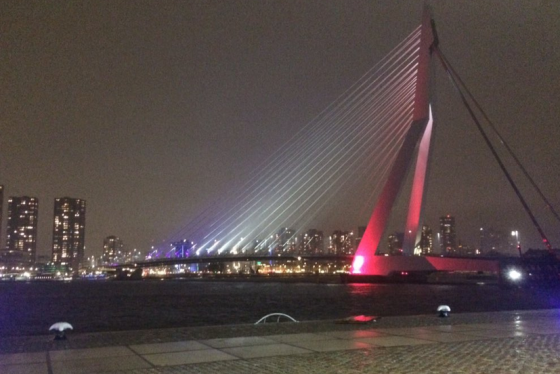 Rotterdam mayor Ahmed Aboutaleb has said in a reaction to the Paris attacks that it is time to ‘wipe out’ ISIS. ‘I am no military strategist, but as a manager I say it is time to wipe out the 40,000 to 50,000 people who have joined ISIS,’ he told broadcaster Nos. For some people, membership of ISIS is ‘symbolic’ of something, the mayor said. But it is only when they are gone that the problem will have been dealt with. Earlier this week Aboutaleb compared ISIS’ actions to the Holocaust. ‘ISIS are involved in ethnic cleansing of Christians, Shiites, Yezidis, Alawites and moderate Muslims,’ he said. Aboutaleb, himself a Muslim, is known for his outspoken stance on radical Islam. In November he broke with the Labour party line and said Dutch nationals who have decided they want to travel to Syria to join Islamic militias should be allowed to go but should be banned from coming back to the Netherlands.